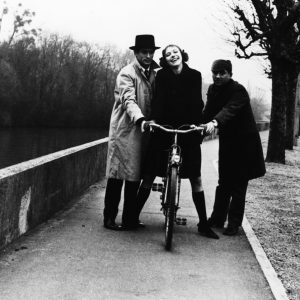 Anna Karina rides a bike. Sami Frey and Claude Brasseur help her out. 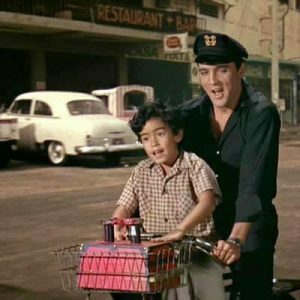 Elvis Presley and Larry Domasin ride a bike. 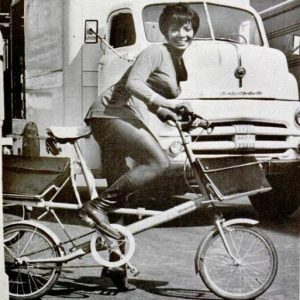 Nichelle Nichols rides a bike.